Any person who advertises or puts out any sign or card or other device that would indicate to the public that he or she is a contractor, or who causes his or her name or business name to be included in a classified advertisement or directory under a classification for construction or work of improvement covered by this chapter is subject to the provisions of this chapter regardless of whether his or her operations as a builder are otherwise exempted. (a) It is a cause for discipline for any contractor to advertise that he or she is “insured” or has insurance without identifying in the advertisement the type of insurance, including, for example, “commercial general liability insurance” or “workers’ compensation insurance” that is carried by the contractor. The contractor may abbreviate the title of the type of insurance. (b) It is cause for discipline for a contractor to advertise that he or she is “bonded” if the reference is to a contractor’s license bond required pursuant to Section 7071.6 or to a disciplinary bond required pursuant to Section 7071.8. 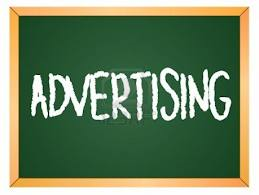 (c) “Advertise,” as used in this section, includes, but is not limited to, the issuance of any card, sign, or device to any person, the causing, permitting, or allowing of any sign or marking on or in any building or structure or business vehicle or in any newspaper, magazine, or by airwave or any electronic transmission, or in any directory under a listing for construction or work of improvement covered by this chapter, for the direct or indirect purpose of performing or offering to perform services that require a contractor’s license. Any reference by a contractor in his advertising, soliciting, or other presentments to the public to any bond required to be filed pursuant to this chapter is a ground for the suspension of the license of such contractor. 7029.5. Display of name, business address and business license number on commercial vehicles. Every C-36 plumbing contractor, C-45 sign contractor, and C-57 well-drilling contractor licensed under this chapter shall have displayed on each side of each motor vehicle used in his or her business, for which a commercial vehicle registration fee has been paid pursuant to Article 3 (commencing with Section 9400) of Chapter 6 of Division 3 of the Vehicle Code, his or her name, permanent business address, and contractor’s license number, all in letters and numerals not less than 1½ inches high. The identification requirements of this section shall also apply to any drill rig used for the drilling of water wells. Failure to comply with this section constitutes a cause for disciplinary action. Except for contractors identified in Section 7029.5, every contractor licensed under this chapter shall have displayed, in or on each motor vehicle used in his or her construction business, for which a commercial vehicle registration fee has been paid pursuant to Article 3 (commencing with Section 9400) of Chapter 6 of Division 3 of the Vehicle Code, his or her business name and contractors’ license number in a clearly visible location in print type of at least 72-point font or three-quarters of an inch in height and width. Every person licensed pursuant to this chapter shall include his license number in: (a) all construction contracts; (b) subcontracts and calls for bid; and (c) all forms of advertising, as prescribed by the registrar of contractors, used by such a person.